Doing good in the community is important. others’ lives through generous gestures. Studies now suggest that one of the biggest benefactors of generosity is the person who is dishing it out. One strong correlation discovered is the link between generosity and a longer lifespan. Generosity emerges with similar benefits to a healthy diet, exercise, and good genes on how it affects ones’ lifespan. A 2003 research study at the University of Michigan reveals that the positive effects of generosity include improving one’s mental and physical health and promoting longevity. In another Michigan study, which tracked 2,700 people over 10 years, researchers found that men who did regular volunteer work had death rates 2.5 times lower than men who didn’t. Generosity can help reduce stress, support one’s physical health, and enhance one’s sense of purpose. Various components of generosity contribute to health benefits. 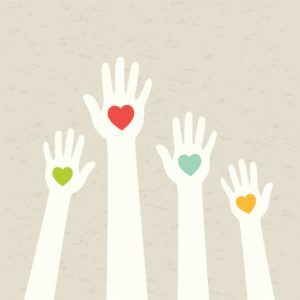 When generosity is thought about in a way where our own sensitivity is considered, we may begin to experience how the health benefits come to fruition. The more directly we see our personal efforts impact someone else, the more we gain from the experience of giving. Another benefit when we make an effort to be generous is the shift of focus off ourselves and onto another person. While it’s important to maintain a healthy level of self-awareness and sensitivity to oneself, often the focus we put on ourselves is filtered through a negative lens. Many of our thoughts about ourselves are tinged with criticism, stress, doubt, uncertainty and obsession, which all negatively impact our level of confidence and success. While people tend to consider being self-centered a negative trait (and although it may have some negative consequences), it does not always manifest in vanity. However, being self-centered can mean spending too much time listening to a critical inner voice inside our heads that critiques our every move and tells us we are failing in one or another area of our lives. Generosity distracts us from the scathing insults of this inner voice while creating quite a strong argument against it. It is difficult to prove we are worthless when we are watching someone else benefit from our actions. A natural confidence-builder and a natural repellent of self-hatred, generosity allows us to feel better about ourselves and fight feelings of depression, as well as isolation. People who battle depression have been shown to benefit from volunteering, as it gives them a sense of value and purpose while placing them in a social environment. Though we are quick to applaud acts of generosity by friends, family, and colleagues, and favor ourselves after completing a generous act, many of us fail to embrace generosity’s fundamental second step: allowing others to be generous to us. Those of us who have been taught to give without asking for anything in return feel ashamed or embarrassed at being given a hand. However, accepting generosity toward us is an important part of allowing ourselves to experience the many benefits of leading a giving life. It’s truly the give and take that brings us our greatest sense of joy. This entry was posted on Tuesday, August 1st, 2017 at 12:48 pm. Both comments and pings are currently closed.